Somehow you make this event even better each year – thank you for your creativity, passion, attention to detail and energy in making this event such a success. Training, motivating and educating retail sales consultants on new and existing products in preparation for Christmas Sales. 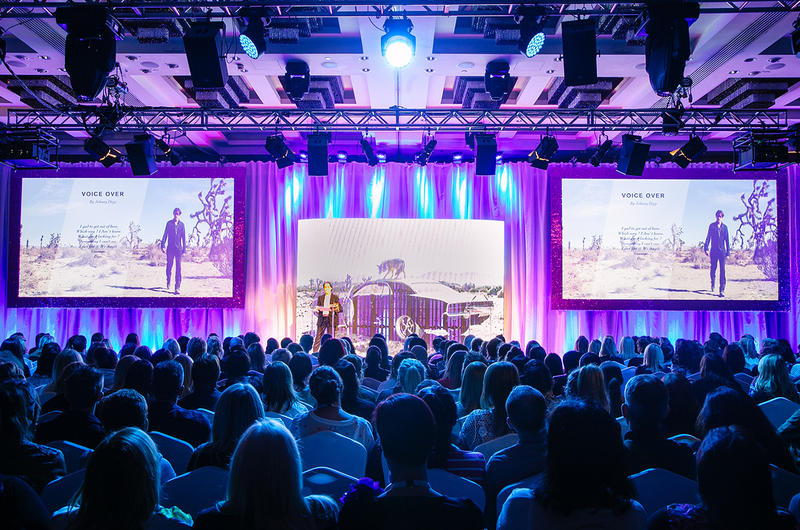 A motivational event delivered over two days of plenary, workshop and exhibition sessions, representing 12 of the world’s most recognised fragrance brands. Challenged with finding an appropriate and exciting theme for each year (previous themes include, “Highstreet Musical”, “Top of the Shops”, festival and airline themes), the focus is on training all consultants on new products and reviving knowledge prior to the build up to Christmas trading. Delegates from all over the UK enjoy two full days interspersed by a formal gala dinner and overnight accommodation. In 2015 the event grew further with the inclusion of Small Premium Brands, training the delegates on the cosmetics side of Beauty. Avenue liaises with a growing number of suppliers in order to meet their requirements on technical set-up, exhibition guidelines and logistics, rehearsals, room dressing, sponsorship opportunities, accommodation and dining. Management of this event includes an ongoing liaison with the client with regards to theme development, logistics, suppliers, transportation, accommodation and full budget control. Avenue also manage the registration process for every delegate from the 170 stores Debenhams nationwide. In addition, we manage the pre-event liaison with the venue to include technical set-up, rehearsals, syndicate allocation, exhibition space, logistics, room drops, deliveries, gala dinner arrangements/menu tasting and room dressing. In addition, Avenue provides full event management on site for the duration of the event. Highly motivated consultants returning to their stores fired up and enthusiastic to deliver the new products. The aptly named “Top of the Shops” provided an upbeat platform for the delegates to improve their knowledge of the products sold, ready for the Christmas period. Delegates were trained by multiple Debenhams suppliers in a variety of themed rooms. A fun-filled two days left the delegates ready & prepared for the remainder of the year. 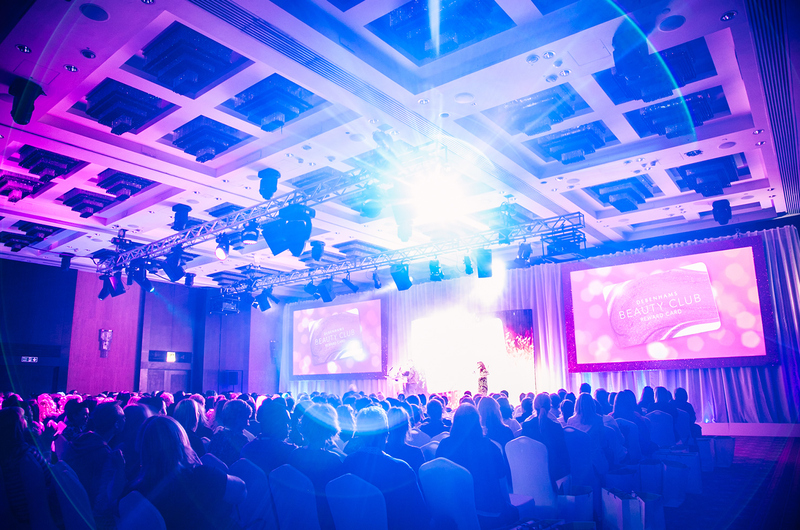 With delegates being educated ready for that Christmas rush the Winter Wonderland theme provided the perfect backdrop to get the delegates energised for the festive period. An airline theme took the delegates on a journey through different locations and fragrance suppliers. The plenary room was designed as the inside of an airplane & the F&B was served in an authentic tray format. A two-day festival themed event gave the delegates a great experience of fun-filled music and high energy presentations. Delegates were treated to traditional festival food along with buskers and tarot card readers. Be it partaking in Deal or No Deal or answering questions after spinning the Wheel of Fragrance, the delegates were engrossed in an educational two days, with their favourite TV gameshows. Even Keith Chegwin made an appearance! In addition to plenary sessions, this year had a large emphasis on exhibition. 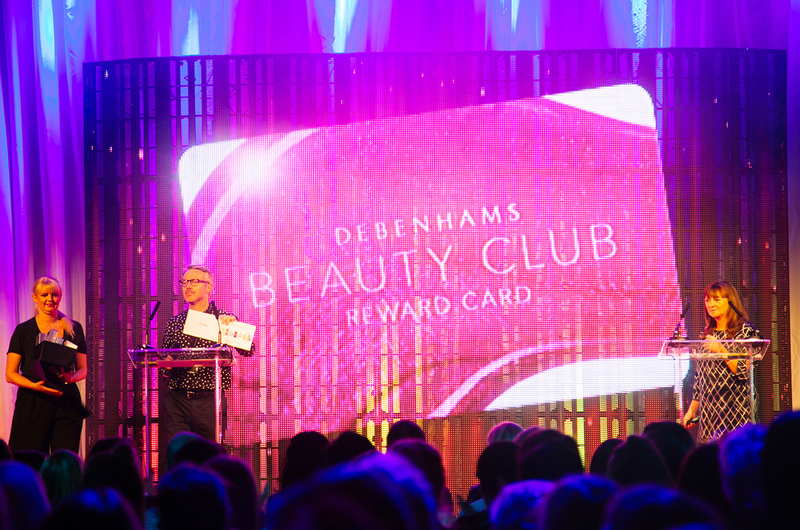 The Debenhams Beauty Club Card was central to education and training so Beauty Club Lounges were created within the two large exhibition areas for “grab and go” tea and coffee. Delegates were provided with a passport, which they were permitted to hand in before departure, to ensure they visited every stand and received their training.